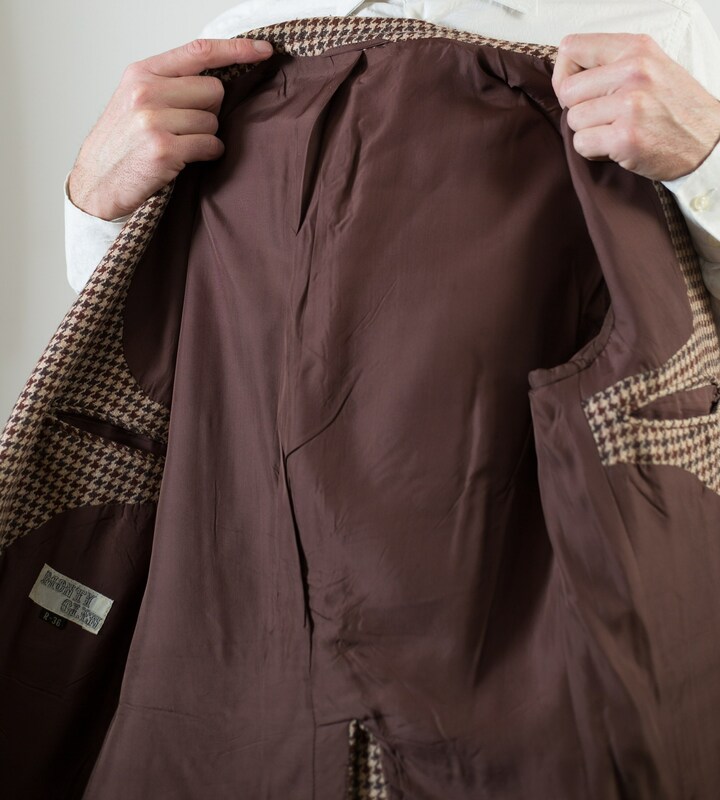 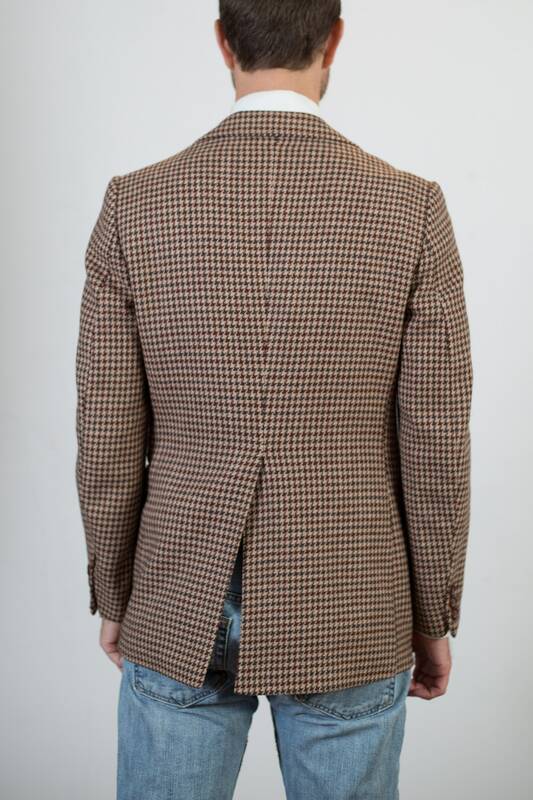 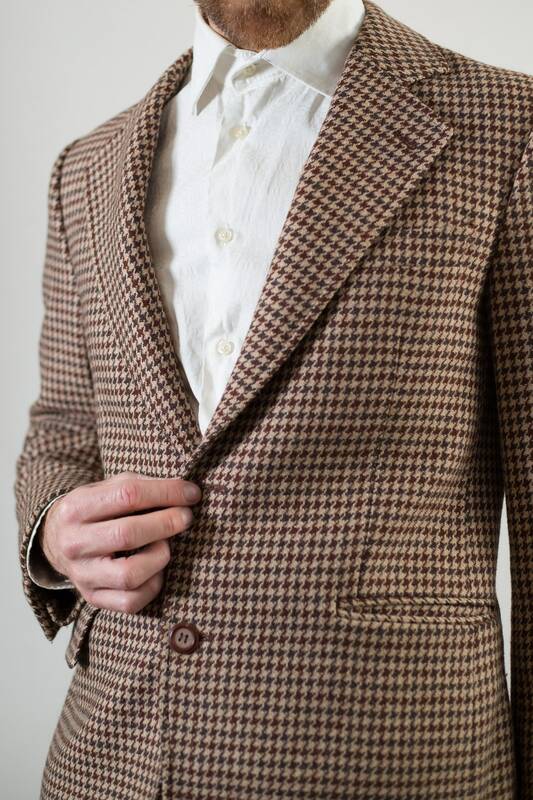 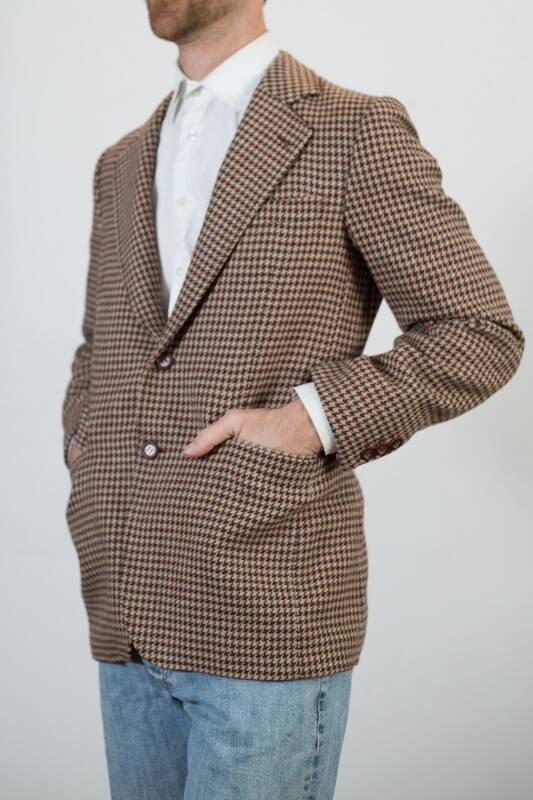 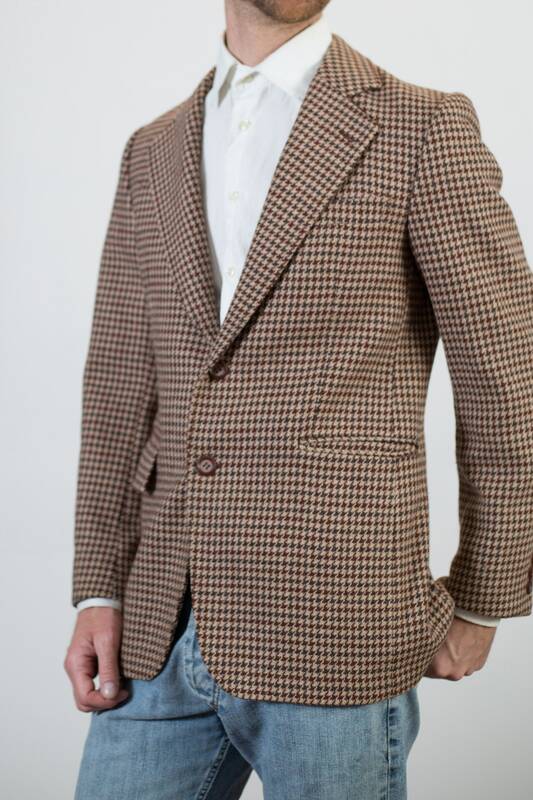 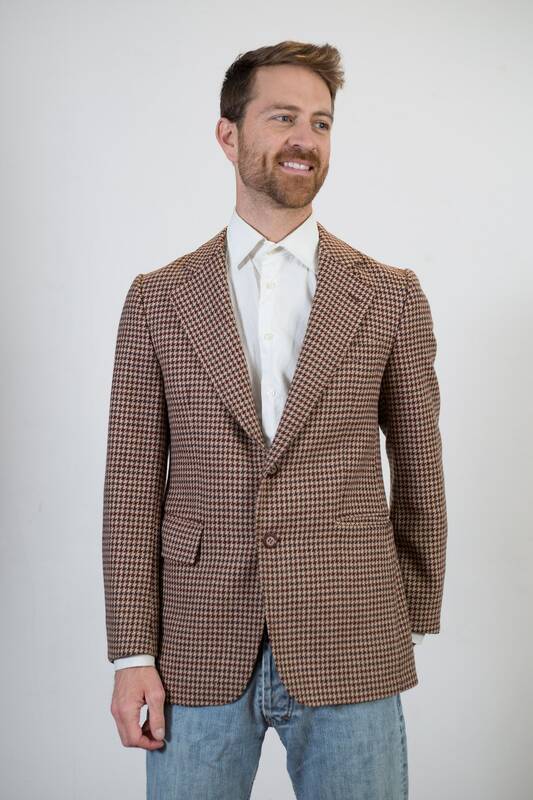 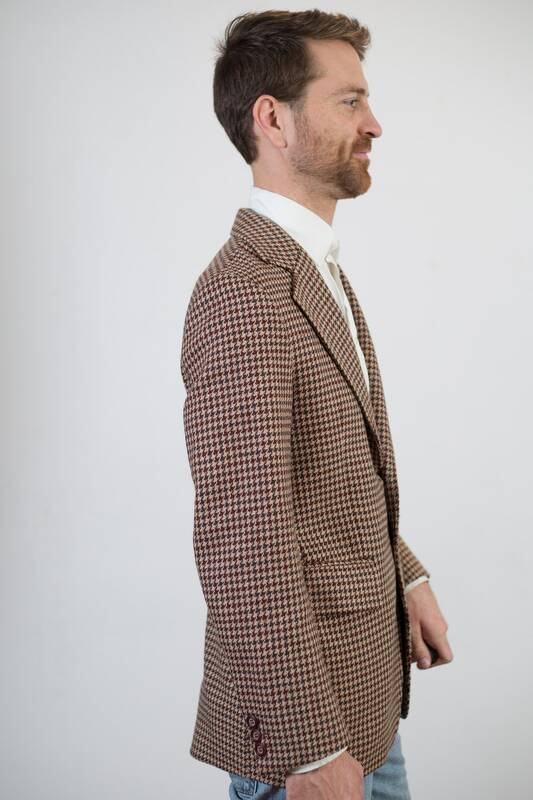 This is a beautiful vintage brown houndstooth stitch blazer sports coat with functional waist pockets, a chest pocket and inside lining pockets. 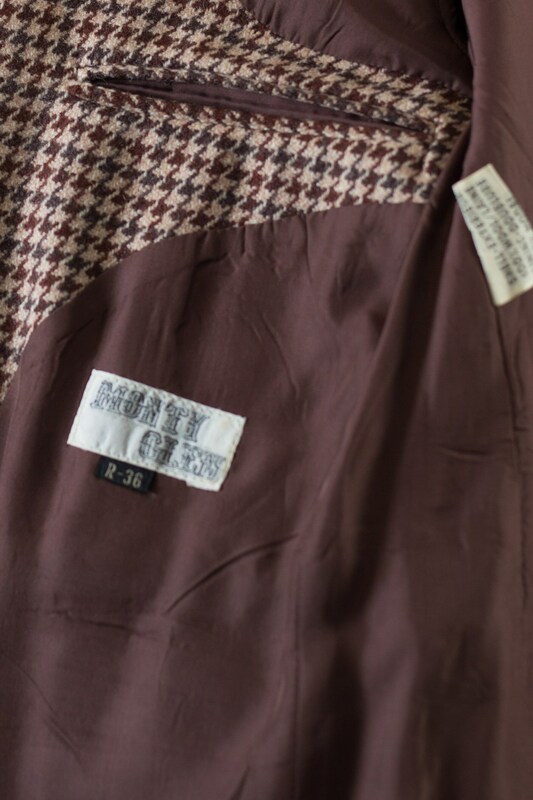 Size: tag reads R36 (model wears medium, is 5'11). 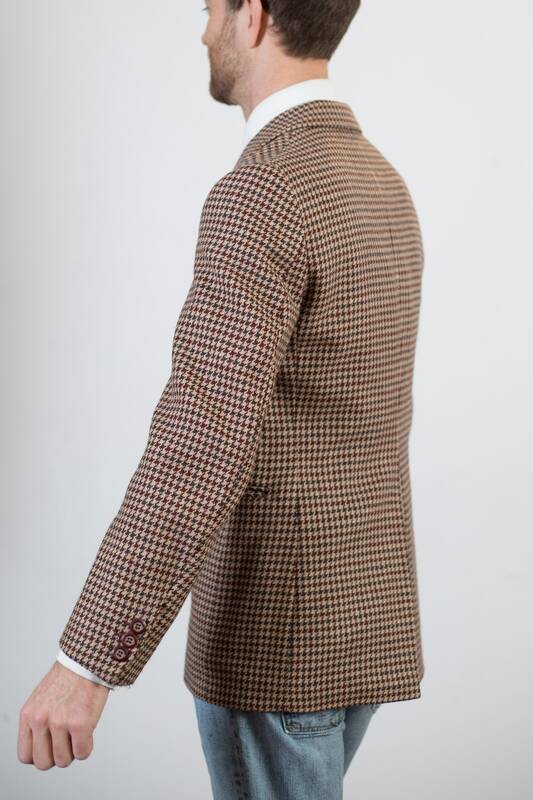 Material: wool exterior, acetate interior.